Who would you trust with your most valuable secrets? My second south coast novel, Your Secret’s Safe With Me, was published by Crooked Cat Books in February 2019. 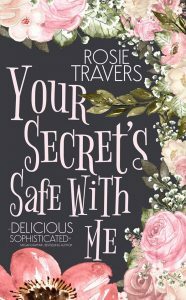 Your Secret’s Safe With Me is a novel about the intricacies of family relationships and the consequences of keeping secrets. Who would you trust with your inner-most secrets? And if someone close had let you down before, why would you put your faith in them again now?